Last June I took a trip to the Pentland Hills Regional Park south of Edinburgh. It's somewhere I had wanted to go for a while but had never done it. Now don't misunderstand me, this park is 20 minutes from my house but we don't appreciate what is on your doorstep sometimes. One weekend in our hot summer I set off with my camera on my back, completely under prepared - I had ill advised shoes on and no sun protection but made the most of it anyway. Walking through the park I could hear the water in the distance and followed the sound. Over a wooden fence and across a questionable bridge and it was in front of me. I set up my camera and spent the next 45 minutes taking in the surroundings and deciding how I was going to go compose the waterfall. It took one shot on two different film stocks and then I set off home. I'll head back there in the coming year to explore some more. It's great to have something like this so close by, I just need to remember that. 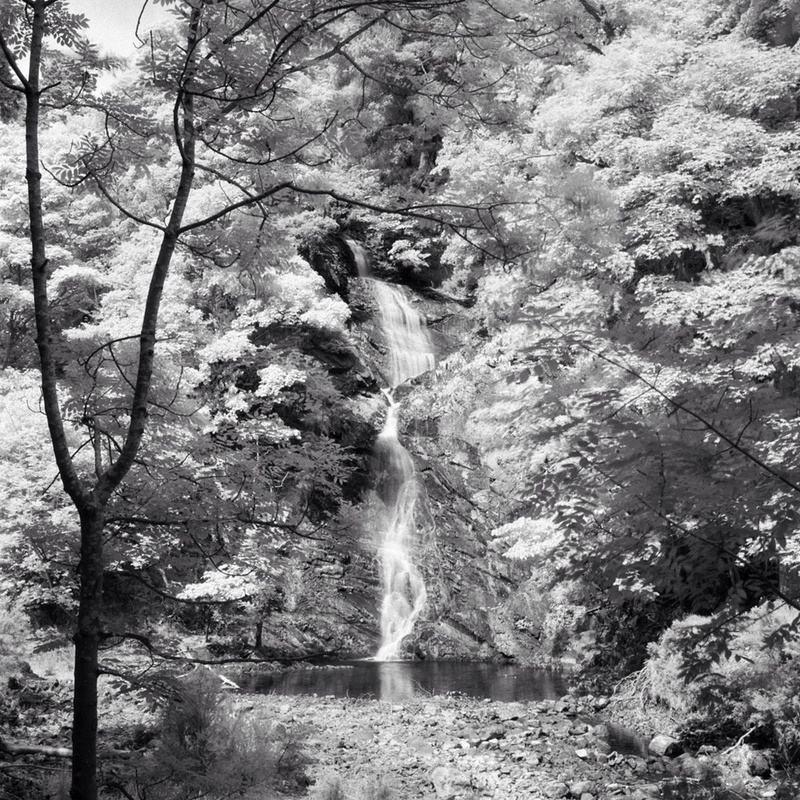 This image was made with a Bronica S2A medium format camera on Ilford SFX200 film and IR72 filter. It will be joining my Edinburgh gallery and will be available to buy as a print soon.